Here you will get some facts about the big city. Good to know before you leave. You can visit Las Vegas when ever during the whole year around. Of course it depends on which kind of weather you like and if you like to be outside or only inside at all the casinos..... During the month (May-Sept) it can get really hot. Bring sunscreen and wear loose, light-colored clothing that substantially blocks sunlight. Avoid dehydration by drinking plenty of fluids. During winter/spring seldom don´t go below zero. Beside you have an approx scale over the temperatures in LAS per month. Presidents' Day (third Monday in Feb), Memorial Day (last Monday in May), Independence Day(July 4 - if it occurs at the weekend - following Monday), Labor Day (first Monday in Sept), Columbus Day (second Monday in October), Veterans Day (Nov 11), Thanksgiving (third or last Thursday in Nov), Christmas Day (Dec 25). To get to the Police, Fire deparment and Ambulance, call 911. Cocktail waitresses. housekeepers and even desk clerks (if you're looking for a better room) all ride the tip gravy train. Tipping at casinos is also important. Some Hotel have got access to Internet, sorry to say not all. A tip, use the Internet Café, at the Polo Towers Plaza at 3745 Las Vegas Blvd S. Some hotels allow you access at their business centers. 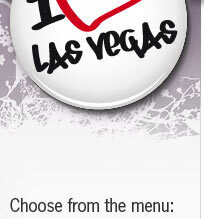 Those that definitely do are at the Hard Rock Hotel, The MGM Grand, the Mandalay Bay and the Las Vegas Hilton. The legal age to consume alcohol in Las Vegas is 21 years of age. the dress is normally casual. Most dance clubs have a dress code which can vary widely by the time of day and how busy they are. Elsewhere, it is always a good idea to bring a sweater or light coat because even though it is warm outside, the air conditioning inside the casinos can be chilly. Most hotel-casino convention centers are non-smoking. Indoor pools, family arcades and health spas are also generally smoke-free. Sorry to say it isn´t many Hotel that are smoke-free. At many casinos smoking is still allowed. The birth of the town Las Vegas? The first hotel and casino, when did it open? The first hotel and casino to open in Las Vegas was the Golden Gate Hotel and Casino in 1906.